The Evidence & Technology Spine Summit OnDemand is a virtual registration, granting access to recordings of all educational sessions. This includes symposia, keynote presentations, discussions/debates and ePosters. Expert faculty address surgical and medical/interventional topics on the latest spine care technology and techniques through a dynamic educational program that will include an in-depth review of current and emerging spine technology. It is a meeting not to be missed! How Will We Be Reimbursed in the Near Future? Released on March 2, 2016 and available for purchase until March 1, 2019. You can view this product indefinitely after the purchase expiration date through your My Account. 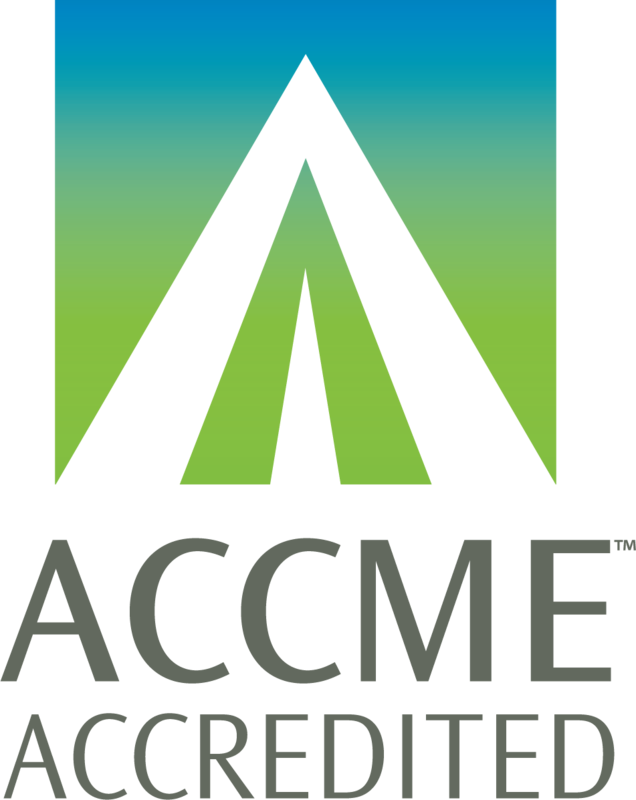 The North American Spine Society is accredited by the Accreditation Council for Continuing Medical Education to provide continuing medical education for physicians. The American Medical Association has determined that physicians not licensed in the US to participate in this CME activity are eligible for AMA PRA Category 1 Credits™. Abitbol, Jean-Jacques: Royalties: Osprey (B); Private Investments: Spine core (<1%), Amedica (<1%), Paradigm spine (<1%), Surgifile (<1%); Consulting: Stryker (C), Synthes (C); Scientific Advisory Board: K2M (C). - IN Abushawish, Jordan A.: Nothing to disclose. Acosta, Frank: Consulting: NuVasive (C). Alamin, Todd F.: Royalties: Simpirica Spine (A); Stock Ownership: Simpirica Spine (2%); Private Investments: Simpirica Spine (2%); Consulting: Simpirica Spine (D); Board of Directors: Simpirica Spine (None). Ames, Christopher P.: Royalties: Biomet Spine (E), Stryker (F); Consulting: Medtronic (B), DePuy (C), Stryker (B). Andelman, Steven: Nothing to disclose. Anwar, Muhammad: Nothing to disclose. Arrotegui, Inaki: Nothing to disclose. Baker, Ray M.: Stock Ownership: Relievant Medsystems <1%); Private Investments: Nocimed (<2%), Laurimed (<1%); Consulting: Medtronic (B), UnitedHealthcare (B), Mesoblast (B); Board of Directors: ISIS (Immediate Past President); Scientific Advisory Board: Collaborative Spine Research Foundation (Board Member), Spine-Health.com (B). Bono, Christopher M.: Royalties: Wolters Kluwer (B); Consulting: Harvard Clinical Research Institute (None), United Health Care (B, Advisory Board); Board of Directors: North American Spine Society (President); Other Office: JAAOS (B, Deputy Editor). Brodke, Darrel S.: Royalties: Amedica (F), DePuy Synthes (H), Medtronic (C); Stock Ownership: Amedica (<1%); Consulting: Amedica (A); Board of Directors: CSRS (None); Fellowship Support: AOSpine (E, Paid directly to institution/employer). Cheng, Ivan: Royalties: NuVasive (F); Private Investments: Cytonics (<1%), Spine Innovations (<1%); Consulting: Spine Wave (None); Speaking and/or teaching arrangements: Stryker Spine (B); Grants: Cervical Spine Research Society (C). Cheng, Joseph S.: Trips/Travel: DePuy Synthes (Travel expenses, Paid directly to institution/employer); Other Office: AANS/CNS (Recording Secretary: AANS/CNS Council of State Neurosurgical Societies, Past-Chair: AANS/CNS Joint Spine Section). Cho, Charles H.: Board of Directors: North American Spine Society (Travel expenses, Evidence Compilation and Analysis Chair); Other Office: American Society of Neuroradiology (Finance Management Committee Co-chair). Cho, Samuel K.: Consulting: Stryker (B); Speaking and/or teaching arrangements: Medtronic (B); Research Support (Staff and/or Materials): Zimmer (None); Grants: Orthopaedic Research and Education Foundation (D, Paid directly to institution/employer). Choi, David: Other Office: Global Spine Tumour Study Group (E, Paid directly to institution/employer). Chutkan, Norman B.: Royalties: Globus Medical (E); Speaking and/or Teaching Arrangements: AO North America (Travel expenses); Board of Directors: AOSpine North America (Travel expenses). Cutler, Holt: Nothing to disclose. Dailey, Andrew T.: Royalties: Biomet (C); Consulting: Biomet (D); Speaking and/or Teaching Arrangements: AO North America (B); Relationships Outside the One-Year Requirement: Biomet (B). - IN Daubs, Michael D.: Royalties: Synthes Spine (F); Consulting: DePuy Synthes Spine (B); Speaking and/or Teaching Arrangements: AO Spine North America (B); Board of Directors: AO Spine North America (B); Fellowship Support: AO Spine North America (D, Paid directly to institution/employer). - IN Desai, Atman: Nothing to disclose. DeVine, John G.: Nothing to disclose. Dohring, Edward J.: Royalties: Stryker (E, Paid directly to institution/employer); Board of Directors: North American Spine Society (Travel expenses, Education Council Director); Research Support - Staff and/or Materials: Medtronic (B, Paid directly to institution/employer). Elgafy, Hossein K.: Nothing to disclose. Erickson, Melissa: Nothing to disclose. Farmer, Samuel: Other Office: Biomet Spine (Salary). Ferry, Chris: Nothing to disclose. Finkenberg, John G.: Board of Directors: North American Spine Society (Travel expenses, Advocacy Council Director); Research Support - Staff and/or Materials: Biomet (B). Foster, Norah A.: Nothing to disclose. Furman, Michael B.: Royalties: Elsevier (B, Paid directly to institution/employer); Speaking and/or Teaching Arrangements: SIS (A); Trips/Travel: NASS (A). Gallizzi, Michael A.: Nothing to disclose. Gandhi, Anup: Other Office: Biomet Spine (Salary). Geraci Jr., Michael C.: Nothing to disclose. Ghogawala, Zoher: Board of Directors: American Association of Neurological Surgeons - NeuroPoint Alliance (None), Congress of Neurological Surgeons (None, Vice President, Executive Committee), Collaborative Spine Research Foundation (None), North American Spine Society (None, Clinical Research Development Chair); Research Support - Staff and/or Materials: Stuart Foundation (F, Paid directly to institution/employer); Grants: NIH (A), PCORi (H, Paid directly to institution/employer). Graf, Nicolas: Research Support - Staff and/or Materials: Titan Spine (B, Paid directly to institution/employer). Guzman, Javier: Nothing to disclose. Harris, Mitchel: Nothing to disclose. Hecht, Andrew: Royalties: Zimmer Spine (B, Paid directly to institution/employer); Consulting: Stryker Spine (None), Medtronic (B), Zimmer Spine (C, Paid directly to institution/employer); Speaking and/or teaching arrangements: Medtronic (None); Scientific Advisory Board: Musculoskeletal Transplant Foundation (None), Zimmer Spine (C); Grants: OREF Grant (C). Heller, Joshua E.: Nothing to disclose. Hilibrand, Alan S.: Royalties: Biomet Spine (G), Amedica (D), Aesculap (B); Stock Ownership: Amedica (<1%), LifeSpine (<1%), Spinal Ventures (<3%); Private Investments: Benvenue (B), Nexgen (B), Paradigm Spine (B), Pioneer (< 1%), PSD (B), VertiFlex (B); Board of Directors: AAOS (Chair of Communications Cabinet), CSRS (President), North American Spine Society (Chair of CME Committee). Hsieh, Patrick C.: Consulting: DePuy Synthes Spine (C), Medtronic (D); Speaking and/or teaching arrangements: Siemens (B). Hsu, Wellington K.: Consulting: Stryker (D), Relievant (C), Bacterin (A), CeramTec (C), Graftys (A), Globus (B), AONA (B), Medtronic (C), Bioventus (B); Speaking and/or teaching arrangements: AONA (B); Trips/travel: Stryker (B), Pioneer Surgical (B), Medtronic (B), Bioventus (A), AONA (B); Board of Directors: Lumbar Spine Research Society (None), Cervical Spine Research Society (None); Scientific Advisory Board: Bioventus (None); Grants: Medtronic (E, Paid directly to institution/employer). Hu, Serena S.: Royalties: NuVasive (F); Consulting: Medtronic (A); Speaking and/or teaching arrangements: Medtronic (None); Trips/travel: Synthes (None), Medtronic (None); Board of Directors: ISSLS (None). Jakoi, Andre: Nothing to disclose. Karikari, Isaac O.: Nothing to disclose. Khajoo, Ashkan: Nothing to disclose. Kienle, Annette: Research Support (Staff and/or Materials): Titan Spine (B). Kim, Jun: Nothing to disclose. Lawrence, Brandon D.: Consulting: Amedica (A); Speaking and/or teaching arrangements: AO Spine North America (A); Grants: Cervical Spine Research Society (C, Paid directly to institution/employer); Fellowship Support: AO Spine North America (E). Li, Amy: Nothing to disclose. Li, Gordon: Nothing to disclose. Liu, John C.: Nothing to disclose. Lukens, Scott: Nothing to disclose. Mayer, E. Kano A.: Speaking and/or Teaching Arrangements: North American Spine Society (Travel expenses); Trips/Travel: North American Spine Society (Speaking and/or Teaching Arrangements disclosed); Research Support - Staff and/or Materials: SI Bone (B, Paid directly to institution/employer). McAnany, Steven J.: Nothing to disclose. Mehbod, Amir: Royalties: Stryker (F); Consulting: Zimmer (C). Mehta, Vivek A.: Nothing to disclose. Miller, Jeffrey W.: Consulting: Stryker (C, Paid directly to institution/employer); Research Support (Investigator Salary): Stryker (C, Paid directly to institution/employer). Muehlbauer, Eric J.: Board of Directors: North American Spine Society (Executive Director); Other Office: International Spine Intervention Society (B). Nguyen, Ha: Nothing to disclose. Nuckley, David J.: Device or Biologic Distributorship (Physician-Owned Distributorship): Zimmer Spine (E); Consulting: Zyga Technologies (C). O'Brien, David R.: Nothing to disclose. O'Connor, Annie: Nothing to disclose. Ohnmeiss, Donna D.: Other: Texas Back Institute Research Foundation (Salary). Oppenlander, Mark E.: Nothing to disclose. Overley, Samuel C.: Nothing to disclose. Panchal, Ripul R.: Consulting: Precision Spine (A), Globus (B), Medtronic (C), Biomet (C), Mizuho Orthopedic Systems (B); Board of Directors: California Association of Neurological Surgeons (None); Other Office: North American Spine Society (Patient Safety Committee, CME Committee); Research Support (Investigator Salary): Baxter (B); Research Support (Staff and/or Materials): Globus Medical (E, Paid directly to institution/employer). Park, Jon: Nothing to disclose. Patel, Alpesh A.: Royalties: Amedica (B); Stock Ownership: Amedica (<1%), Cytonics (<1%), Nocimed (<1%), Vital5 (<1%); Consulting: Amedica (B), Stryker (None), Biomet (B), DePuy (B); Board of Directors: Cervical Spine Research Society (None); Fellowship Support: OREF (D), Omega (B). - IN Patel, Neil N.: Nothing to disclose. Pettine, Kenneth A.: Stock Ownership: Mesoblast (<1%); Consulting: Paradigm (B); Speaking and/or teaching arrangements: SpineSmith/Celling Biosciences (Travel expenses); Trips/travel: Spinal Motion (A); Research Support (Staff and/or Materials): ISTO (B), Globus (B), Paradigm (B), Spinal Motion (B), SpineSmith/Celling Bioscience (B). Pham, Martin H.: Nothing to disclose. Prather, Heidi: Speaking and/or Teaching Arrangements: PM&R (Senior Editor for PM&R Journal, Paid directly to institution/employer); Trips/Travel: North American Spine Society (Travel expenses, Paid directly to institution/employer); Board of Directors: North American Spine Society (Past President, Paid directly to institution/employer). Qureshi, Sheeraz A.: Royalties: Zimmer Spine (A); Consulting: Stryker Spine (B), Medtronic (B), Orthofix (B); Speaking and/or teaching arrangements: Globus (B), Stryker (B), Medtronic (B); Board of Directors: MTF (B, Paid directly to institution/employer); Scientific Advisory Board: Orthofix (None), Zimmer (None); Other Office: CSRS (Program Committee), North American Spine Society (Evidence-Based Guidelines Committee, Value Committee), CSRS (Survey Committee), AAOS (Evaluations Committee); Grants: CSRS (C, Paid directly to institution/employer); Fellowship Support: Globus Medical (E, Paid directly to institution/employer). Raberding, Craig: Nothing to disclose. Ratliff, John: Royalties: Stryker Spine (B); Consulting: Stryker Spine (C); Board of Directors: NeuroPoint Alliance (None); Other Office: Congress of Neurological Surgeons (Member-at-Large); Grants: OREF (E, Paid directly to institution/employer); Relationships Outside the One Year Requirement: OREF (E). Reitman, Charles A.: Trips/Travel: North American Spine Society (Travel expenses); Scientific Advisory Board: Clinical Orthopedics And Related Research (B, Paid directly to institution/employer). Resnick, Daniel K.: Board of Directors: North American Spine Society (Secretary), CNS (Past President). Richardson, William J.: Consulting: DePuy/Synthes (A); Speaking and/or teaching arrangements: DePuy Spine (A, Paid directly to institution/employer), Spine Wave (A, Paid directly to institution/employer), Brainlab (B, Paid directly to institution/employer); Scientific Advisory Board: Spine Wave (Speaking and/or teaching arrangements amount disclosed), Orthofix (B, Paid directly to institution/employer). Rittenberg, Joshua D.: Speaking and/or Teaching Arrangements: Spine Intervention Society (Travel expenses); Trips/Travel: Spine Intervention Society (B); Board of Directors: Spine Intervention Society (Trips/Travel disclosed). Rong, Xing: Nothing to disclose. Rothman, David: Board of Directors: North American Spine Society (Ethicist); Other Office: Hagens Berman (Expert witness), Farrise (Expert witness); Relationships Outside the One-Year Requirement: State of Texas/Sheller (E, Expert witness). Schofferman, Jerome: Nothing to disclose. Sharan, Ashwini: Stock Ownership: ICP (<20%); Private Investments: ICVRX (<5%); Consulting: Medtronic (B); Scientific Advisory Board: St. Jude Medical (B); Grants: St Jude Medical (B). - IN Smuck, Matthew: Stock Ownership: NuSpine (<1%, Scientific Advisory Board), BlueJay Mobile-Health (<1%, Chief Advisor); Private Investments: Vivametrica / Sikoya (20%, Founding Partner); Trips/Travel: Spine Intervention Society (B), North American Spine Society (B); Board of Directors: Vivametrica / Sikoya (None), Spine Intervention Society (None), North American Spine Society (None); Scientific Advisory Board: NuSpine (Stock options), Lumo BodyTech (Stock options), BlueJay Mobile-Health (Stock options); Other Office: The Spine Journal (Deputy Editor), Spine Intervention Society (Board of Directors), North American Spine Society (Board of Directors); Other: State Farm (F, Expert witness), Kaiser Permanente (C, Expert witness); Relationships Outside the One-Year Requirement: Cytonics (F). Spiker, W. Ryan: Consulting: Amedica (A), Nexus (A); Fellowship Support: AO Spine/DePuy Synthes (E, Paid directly to institution/employer). Stiehl, James: Nothing to disclose. Sullivan, William J.: Trips/Travel: North American Spine Society (Travel expenses). Swinney, Christian: Nothing to disclose. Tauzell, Ryan A.: Nothing to disclose. Truumees, Eeric: Royalties: Stryker Spine (C); Stock Ownership: Doctor's Research Group (<1%); Private Investments: IP Evolutions (None); Board of Directors: North American Spine Society (Administration & Development Council Director); Other Office: AAOS Communications Cabinet (Travel expenses); Research Support - Investigator Salary: Relievant (B, Paid directly to institution/employer); Research Support - Staff and/or Materials: Globus (B, Paid directly to institution/employer); Relationships Outside the One-Year Requirement: Stryker Biotech (None). Veeravagu, Anand: Nothing to disclose. Wanebo, John: Nothing to disclose. Wang, Jeffrey C.: Royalties: Stryker (A), Osprey (B), Aesculap (B), Biomet (G), Amedica (D), SeaSpine (D), Synthes (C); Stock Ownership: FzioMed (<1%), Alphatec (<1%); Private Investments: Promethean Spine (<1%), Paradigm spine (<1%), Benvenue (<1%), Nexgen (<1%), Amedica (<1%), VertiFlex (<1%), ElectroCore (<1%), Surgitech (<1%), VG Innovations (<1%), CoreSpine (<1%), Expanding Orthopaedics (<1%), Osprey (<1%), Bone Biologics (<1%), Curative Biosciences (<1%), PearlDiver (<1%); Board of Directors: North American Spine Society (Treasurer), North American Spine Foundation (None), Cervical Spine Research Society (Travel expenses), AO Spine/AO Foundation (E), Collaborative Spine Research Foundation (None); Fellowship Support: AO Foundation (E, Paid directly to institution/employer). Wetzel, F. Todd: Stock Ownership: Relievant Medical (<1%); Board of Directors: McKenzie Institute International (B), North American Spine Society (First Vice President). Whang, Peter G.: Stock Ownership: DiFusion (<1%); Consulting: Stryker Spine (B), SI BONE (C), Pacira (C), Medtronic (D); Speaking and/or Teaching Arrangements: Stryker (D), Pacira (C), Medtronic (D); Scientific Advisory Board: DiFusion (Stock Ownership disclosed), Summus Global (A); Other Office: Cerapedics (B), Relievant (B), Histogenics (B), Paradigm Spine (C); Research Support - Staff and/or Materials: VertiFlex (A, Paid directly to institution/employer), SI-BONE (A, Paid directly to institution/employer), Spinal Kinetics (A). Wilke, Hans-Joachim: Nothing to disclose. Youssef, Jim A.: Royalties: NuVasive (F), Osprey Medical (F), Amedica (F), Integra (F); Stock Ownership: Amedica (<1%), Benvenue Medical (<1%), Paradigm Spine (<1%), Promethean Surgical Devices (<1%), Spinal Ventures (<1%), VertiFlex (<1%), Spinicity (<1%), ISD (<1%), Providence Medical (<1%); Private Investments: Amedica (<1%), VertiFlex (<1%), Benvenue (<1%), NuVasive (<1%); Consulting: Integra (A), NuVasive (A), Amedica (A), HealthTrust (A); Board of Directors: Durango Orthopedic Associates (None); Research Support (Staff and/or Materials): Globus Medical (C, Paid directly to institution/employer), NuVasive (C, Paid directly to institution/employer), VertiFlex (C, Paid directly to institution/employer), Integra (C, Paid directly to institution/employer). Disclosures current as of January 14, 2016.